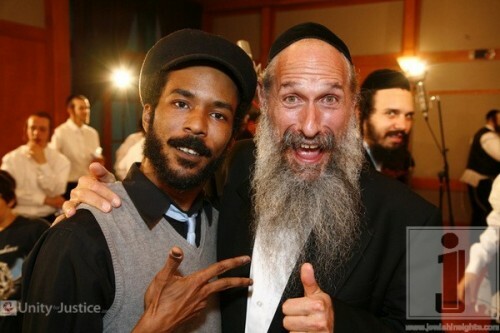 Behind the scenes of possibly the biggest Jewish unity recording in history, Mordechai Ben David (the king of Jewish music) and Y-Love, (Jewish music’s best and most revolutionary rapper) took a few minutes from recording to shoot a snippet for Shemspeed TV. The session included Lipa Schmeltzer, Gad Elbaz, Piamenta,DeScribe, Yeedle and countless other superstars in the chareidi world. p.s. check out the Na Naach gang sign throw-down at the end of the clip.